HEADED TO THE PAY STATION - Dawson's Brandon Mouton (12) is all alone as he hauls in this touchdown pass from QB Vance Galloway covering 46-yards against South Houston. The score was one of many as the Eagles trounced the Trojans 55-6 to close out their season with a 6-4 mark. PEARLAND — The Dawson Eagles put the finishing touches on the regular season with a 55-6 pounding over the South Houston Trojans. Senior QB Vance Galloway hit 8-of-10 passing for 176 yards and four touchdowns to lead the offensive explosion. Back-up QB Zach Smith also had a good night hitting 3-of-5 passing for 86 yards and one score. Dawson's defense was also strong limiting the Trojans to only 231 total yards including 30 yards passing. The Eagles countered with 492 total yards and 17 first downs. Galloway got the Eagles on the board early hitting Brandon Mouton on a 46-yard scoring pass with 9:48 in the first quarter. Tyler Day booted the PAT for a 7-0 lead. It took just over two minutes for the Eagles to score again as Brett Winnegan got loose for a 26-yard scoring dash and a 14-0 advantage. Winnegan did it again at the 5:06 mark of the first with a 55-yard scoring romp quickly making the score 21-0. Dawson put the finishing touches on the opening quarter when Galloway found CJ Simmons on a 26-yard scoring pass for a 28-0 cushion with 1:00 still left in the opening period. With 10:56 left in the second, Galloway and Simmons hooked up again, this time covering 62-yards for the score and a 35-0 lead. Galloway closed out the second period with a 2-yard scoring toss to Antoine Cannady and a 42-0 lead at intermission. 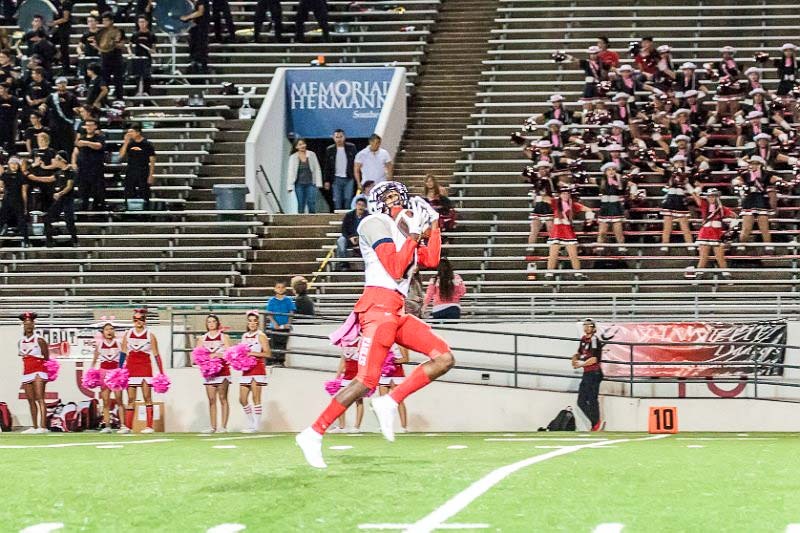 Dawson increased their lead in the third quarter when Zach Smith hit Taje Williams on a 39-yard scoring pass. Robby Gardner hit the PAT for a 49-0 lead. 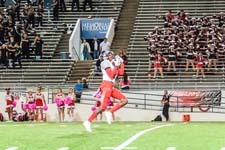 South Houston finally found the pay station on a 1-yard plunge by Joshua Wiliams. The PAT missed leaving the score 49-6 with 9:06 left in the game. The Eagles added a final score on an 8-yard run with 6:45 left. The PAT was no good to post the 55-6 final score. Winnegan was Dawson's top rusher with 119 yards on five carries and two TDs. Gary Scott had six totes for 39 yards and one score. Saevion Johnson had five carries for 21 yards. Simmons was the leading receiver with 88 yards on two catches for a pair of TDs. Mouton had three grabs for 62 yards and a score. Taje Williams had two catches for 63 yards and a TD. Kaleb White had one catch for 22 yards and Cannady had two grabs for 12 yards and a score. Dawson has an open date this Friday, November 7 and then they will begin the post-season the following week. The Eagles finished the regular season at 6-4 overall and 5-3 in district giving them the fourth spot in the playoffs from District 22-6A. Dawson will have the No. 2 seed in the 6A Region III Div. II playoff bracket.